And get unlimited access to this gym and 1339 others. Please be aware that the pool closes at 3pm on bank holidays. 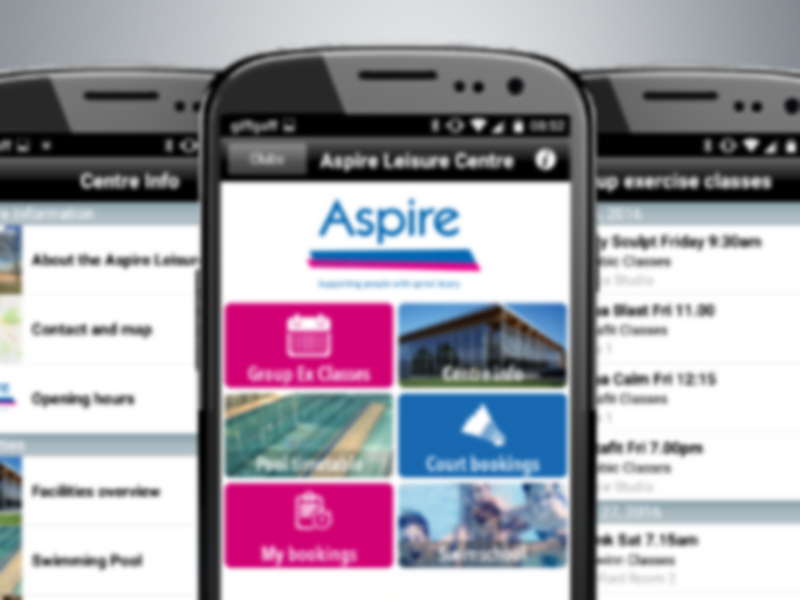 Offering a range of passes and no contract gym membership, Aspire Leisure Centre can help you to get fit through our comprehensive exercise and nutrition service. With a large range of cardiovascular machines, including rowing machines, cross trainers, bikes and treadmills, you can target any area of fitness depending on your goals. A resistance and free weights area includes a matted area for stretching out. The centre can help you to lose weight, tone up or become more flexible, thanks to a helpful and highly qualified team to point you in the right direction and give you the advice you need to reach your targets. Aspire Leisure Centre has inspired a national project called InstructAbility which trains disabled people to become fitness instructors. The ethos at the heart of Aspire is to be inclusive for all, regardless of age or ability. In fact, its good practice has led to the NHS using Aspires expertise in a recent video. Facilities at the centre include a fully accessible 25-metre swimming pool, ramped for wheelchair users, and with water heated to 31 degrees, it's friendly for all. We have a fully integrated fitness studio, approved by the Inclusive Fitness Initiative, a sports hall, Schwinn cycling studio, dance studio which is home to the internationally acclaimed company Candoco, meeting room facilities and a cafe where you can buy snacks, light meals and drinks. Our customers especially like the fact that it is a friendly gym that offers cheap payment options, with one customer saying it's a great little gym with lovely front of house staff. All the equipment you could want and really helpful staff. In the grounds of the Royal National Orthopaedic Hospital in Stanmore, Middlesex, the centre can be reached via the main hospital entrance in Brockley Hill (the A5 road to Edgware) or from a separate entrance in Wood Lane. First visit to a gym in a long time. Felt at ease straight away. Enjoyable workout in a relaxed and comfortable environment. Small gym with small free weight section, but never too busy so never any difficulty using equipment. Thanks for the review Adam, see you again soon. Place is a refurbished hospital, massive site, the walk from reception to the gym is very long and the gym itself isn't that big, changing rooms are pretty basic also, with a lack of showers. Good range of weights and equipment. Maybe a bit lightweight if anything. Not too busy so no problem with queues waiting for equipment. Quick a nice gtm. Changing room is clean and tidy. Thanks for the review Ernest.